This page is full of miscellaneous Temple stuff. Like Bill Cosby and The Hooter, as well as Owls Basketball, and Football . 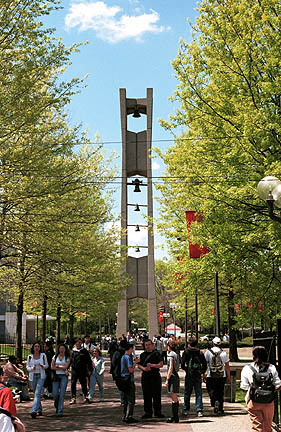 Temple UniversitAlso of interest to me is the they Honors Program, the Law Scholars Program and my dorm, Johnson Hall. Also, the world's largest Temple "T".